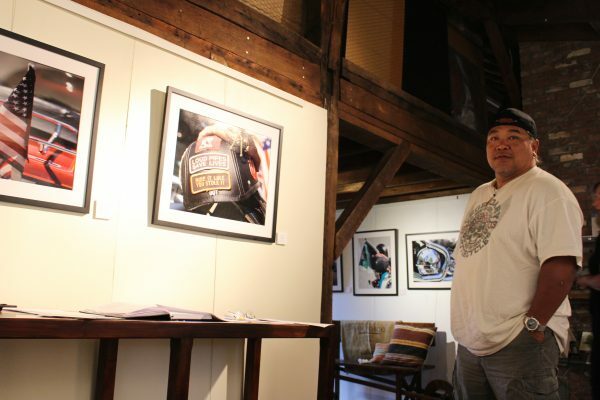 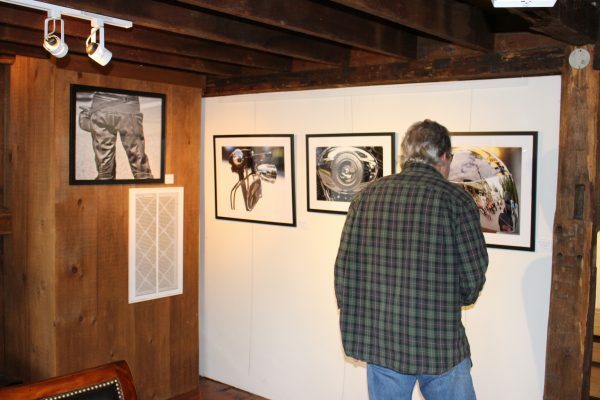 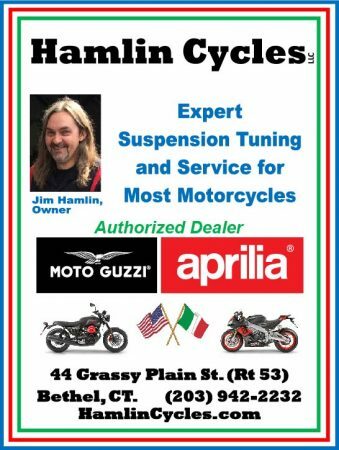 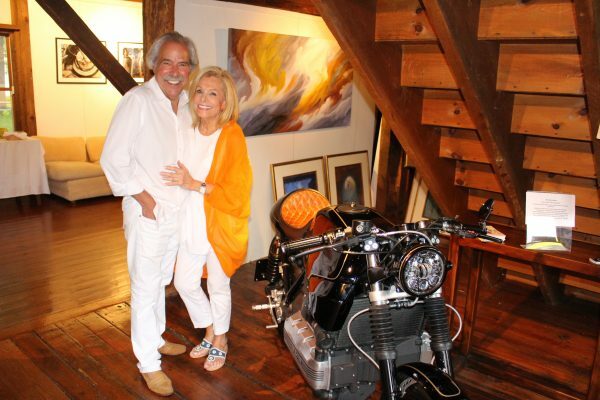 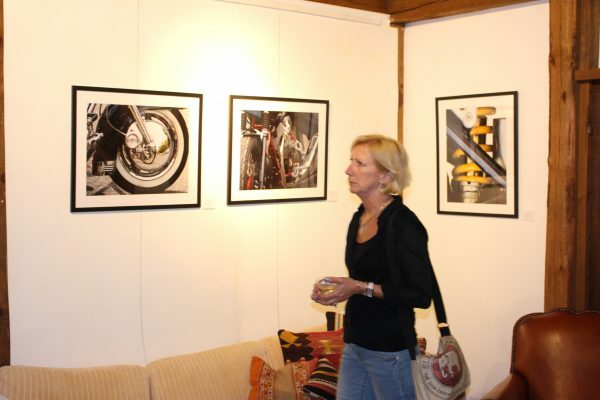 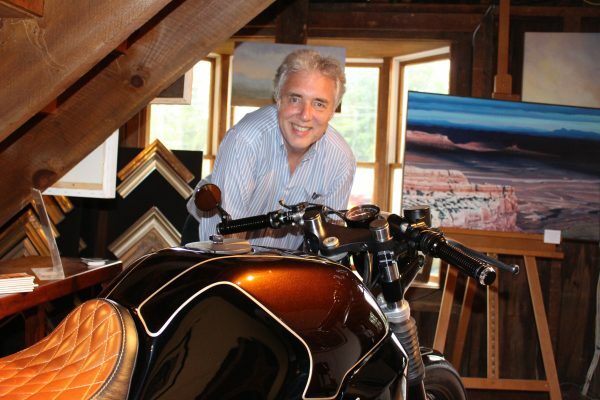 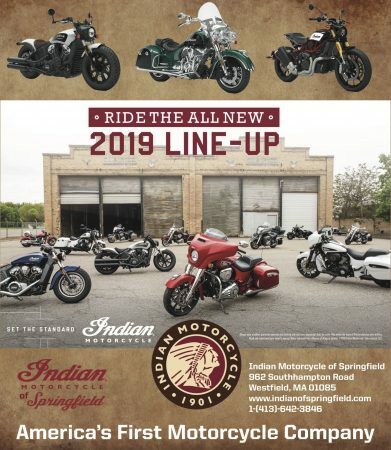 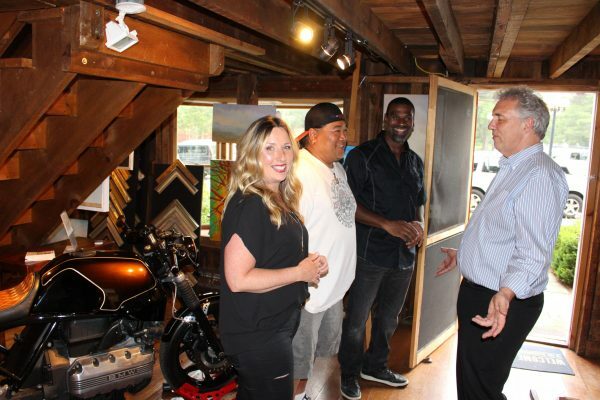 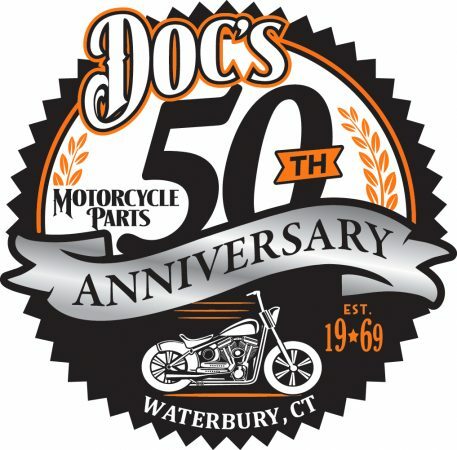 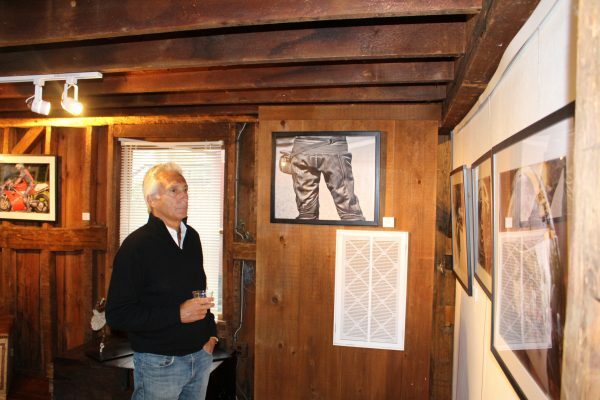 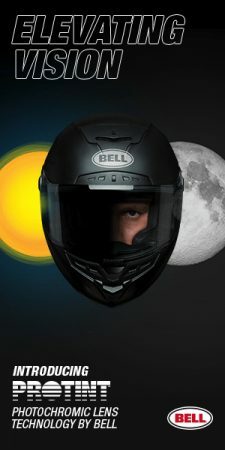 Hosted by part-time Cornwall, CT resident Halby, his wife Bette and gallery owner Tim Good, the opening attracted an enthusiastic crowd on a dreary evening, a mix of riders and non-riders alike. 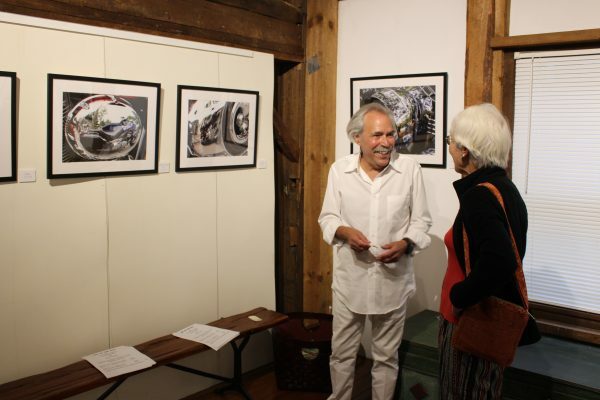 Many of the photos in the exhibit (and in the book) were taken in Kent in recent years. 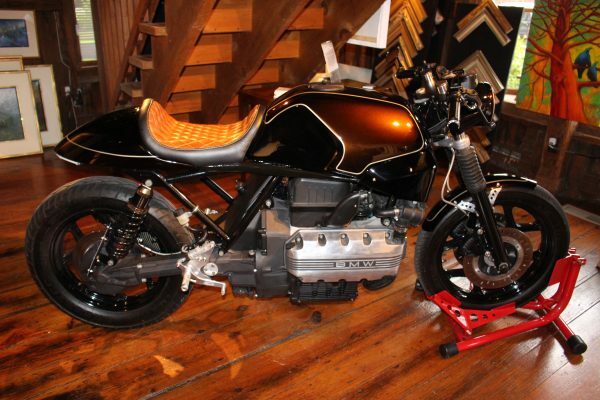 Adding to the ambiance was a BMW K100 motorcycle, turned into a cafe racer by Iron Horse Customs in Kent. 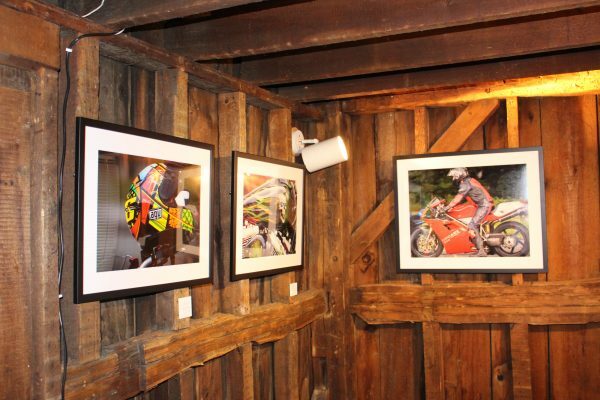 “The Art of the Ride” runs through Aug. 3. 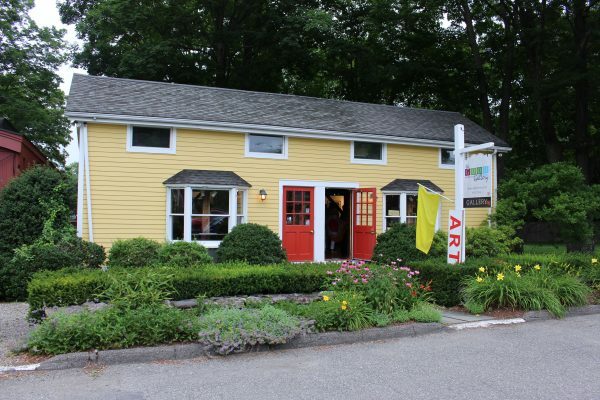 Halby’s book may be purchased here.